With the focus for young dancers today so often on competitions, profiles, fans and tricks, it is important to keeping reminding dancers of the 'why' in dance and of the power of dance to inspire. Teachers play such an important role in creating the culture that surrounds a dancer's learning environment. Teachers help give a student an understanding of who they are and what they can express in dance as well as what they can 'do'. I love the messages from Alonzo King (founder and director of Alonzo King LINES Ballet) paraphrased below. "Be a poet not a dancer - live the idea. Take people into ideas, not steps. Don't create pictures with your movement - that is boring. ..If you think then pose - that is boring. Don't think, just be - you need courage, fearlessness, kindness - dance doesn't work when you are thinking. Receive the dance, don't just do it. Dance with beauty and honesty ...and then I (your audience) feel better. For great art you have to be brave. The messages he gives both in this video and attached interview are so inspiring. 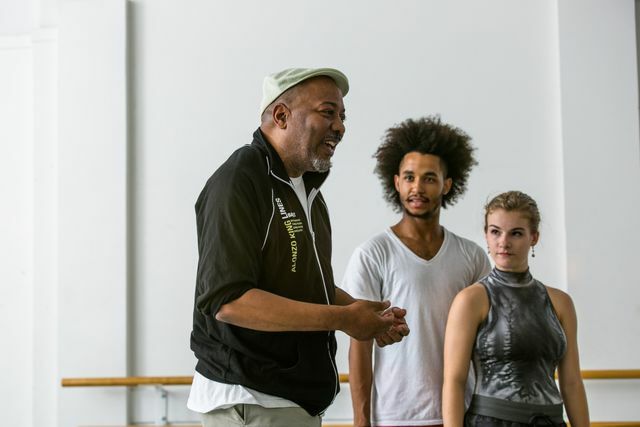 Watch as Alonzo talks about dance and performance with such humanity and insight. There is a radiance that emanates from human beings who have given themselves to a life of service. Art is service. Seven qualities that are essential in the blossoming of any individual are fearlessness, will power, humility, perseverance, patience, love and enthusiasm. Anyone aspiring to change will be met with obstacle and involved in battle. The reason for law and discipline is to assist us in those battles and enable freedom. To watch freedom in movement is an inspiration.